Add a feminine touch of colour to your accessories with these elegant earrings bringing a touch of warmth to any outfit day or night. 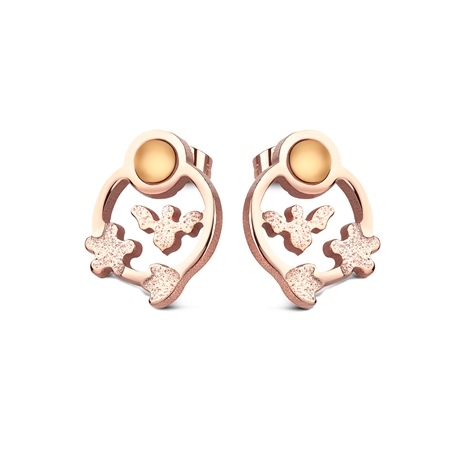 Rose gold plated earrings, with a protective anti tarnish layer, matt pastel orange coloured stone settings, unplated titanium posts with butterfly backs, presented in a Newbridge Silverware gift box. Product dimensions 19mm x 5mm. For hygiene reasons earrings cannot be exchanged.